Get it, girl! And by it, we mean lean muscle. 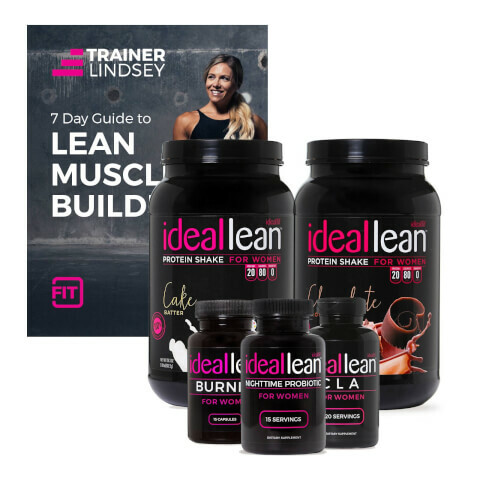 Make fitness lean and mean with IdealLean Protein, BCAAs, and the always popular IdealProbiotic and IdealCLA supplements. Recovering after your workouts and adding more shape and strength to your body has never been easier. Get started crushing your goals today! Lean Muscle...who doesn't want that! I love this stack comes with some great supplements CLA, Burner and Nighttime Probiotic (everyone knows a clean colon is a happy colon!) Protein is great for an after workout meal and a before bed meal. Don't miss out on this great deal! I love all IdealFit products!